NGC 1600 and other galaxies. 5 x 180 second exposures. 0.84″/pixel scale. I’ve had some fun reading about this galaxy NGC 1600 and annotating the above photograph with information. This image is from my standard nightly survey of galaxies and as such is only a brief 5 exposures each of 180 seconds in length. 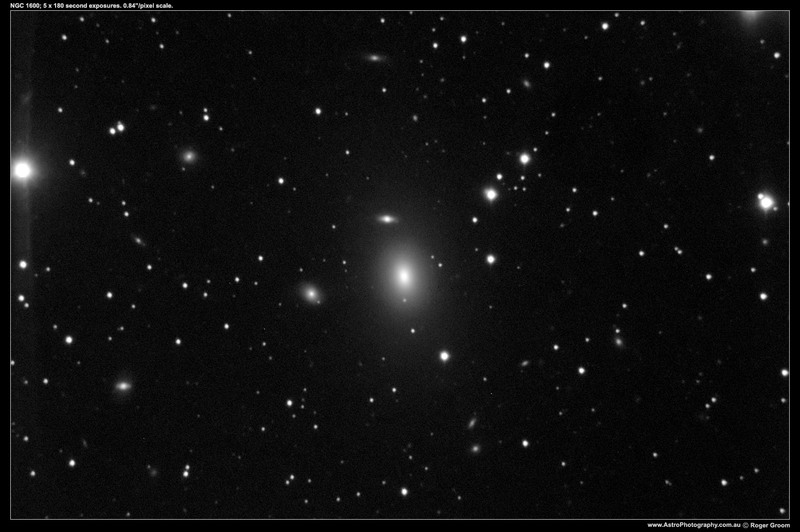 I hope you enjoy the representation with additional information about NGC 1600. 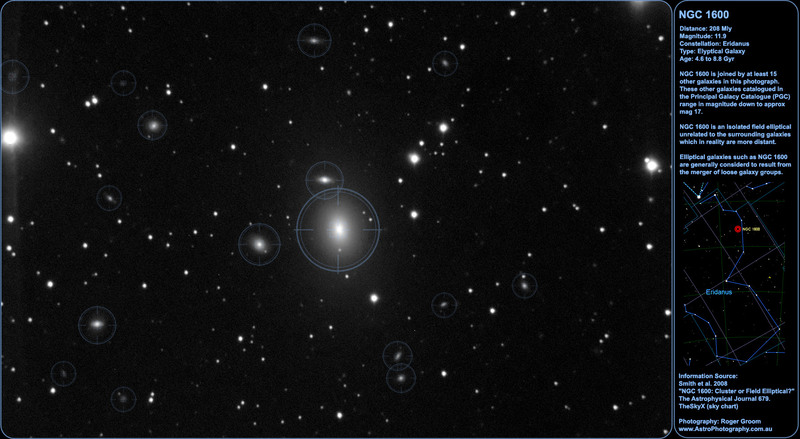 Some of the information was gleaned from this interesting article on NGC 1600 by Smith. et al 2008.